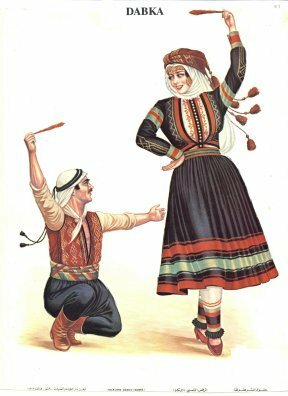 Dabke is a group dance that is prominent in Lebanon, Syria, Palestine, Jordan ad Iraq. 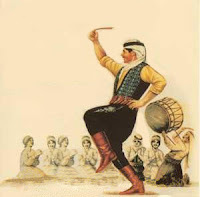 Dabke (also spelt dabka and dabkeh, pronouced dab-k’ meaning, ‘stamping of the feet’). This popular folkloric dance is even common to certain oriental and European peoples and presents one component of national artistic heritage. It is usually performed at festivals and celebrations, especially weddings. 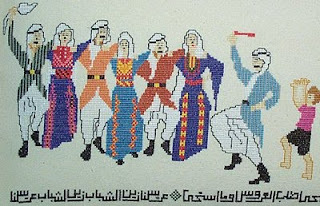 It is based on synchronised foot stomping in which the dancers stand either in a straight line, in an arch, or in a circle and is performed by a group of no less than ten people called dabke dancers (dabeeka). The dancers are male and/or female, and the dances are performed either separately or integrated and it is a dance that requires energy and strength The one who leads the dabke is the laweeh who determines the general direction of the dance and usually performs additional moves to showcase his or her individual skills. Traditional Arab music used for this dance is characterized by melodies full of emotion. The musical instruments used are: flute, derbabke (oriental drum), daff etc. Al Karradiyeh and Al Tayyara are characterised by quick steps and are usually performed by young people because these dances require much flexibility and endurance. Al Dalouna (or Shamaliyeh) has a moderate rhythm and is performed by dancers of a wide age range. Each movement's name symbolises a district and is performed to a certain rhythm. It is led by a laweeh, who controls the rhythm for the group. Zareef Al Toul is ultimately about praise or the search for qualities of a beautiful girl or boy and thus of all human persons. It is performed as a flirtatious dance at weddings and on other occasions. Al Sahjeh and Taghreeba exhibit a style that is based on the actual lyrics where the steps are synchronised and repetitive and through which several different messages are sent. 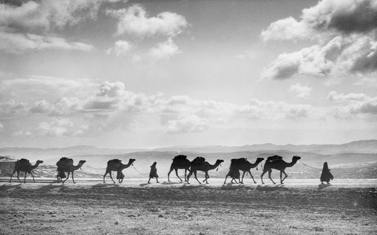 Duhhiyeh is predominant among the Bedouin; it includes the sahjeh and synchronised line moves; the group songs sometimes include sounds that may not be understood by others. The dabke allows us to showcase the history, struggle and aspirations of Arab peoples. It is of particular importance for the Palestinian people, which, in the absence of true sovereignty, use folk culture to reaffirm their identity. 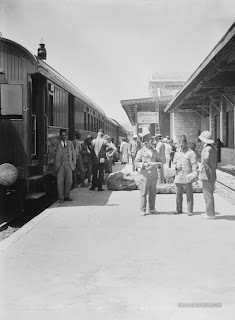 The famous Hijaz Railway is a fascinating story in itself. The purpose of it was in connecting the holy sites in the Hijaz to Istanbul via railway. 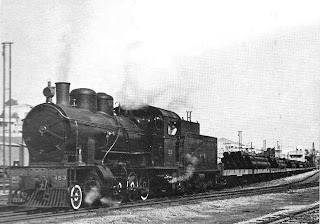 The Hijaz Railway was built by the Ottomans between 1900 and 1908, it was a project that came to light during the reign of the Ottoman Sultan Abdel Hamid II. 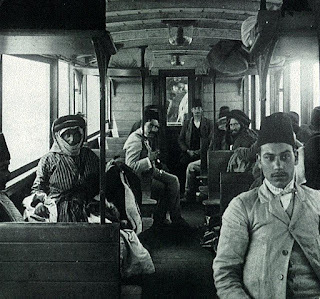 Sultan Abdel Hamid II’s need for a railway, like his prior need for telegraph lines, was that they would allow him to tighten his grip on distant Ottoman states far from the centre of his rule in Istanbul, and to send military forces should a rebellion or revolution need quelling. A pilgrimage from Damascus by camel required 40-50 days. As they progressed toward Medina and Mecca, the pilgrims faced many risks including robbery, floods and epidemics in addition to the difficulties and suffering one might expect from such a journey. Sultan Abdel Hamid made the decision to establish a rail line linking Damascus to the holy sites. The main line linked Damascus to Medina; a distance of 1,320 km. 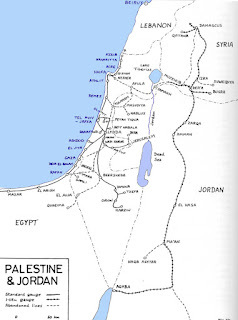 It passed through Transjordan in Az-Zarqa, Al-Qatranah, Amman and Ma’an before reaching northwestern Arabia the Hejaz region. 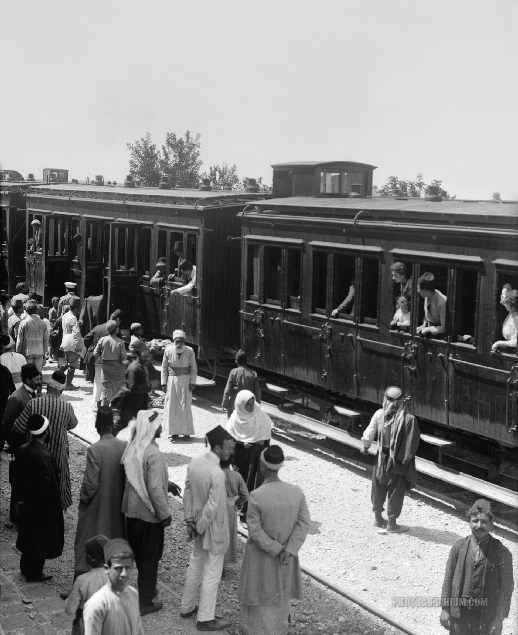 It was built as an extension of the already existing line between Istanbul and Damascus. 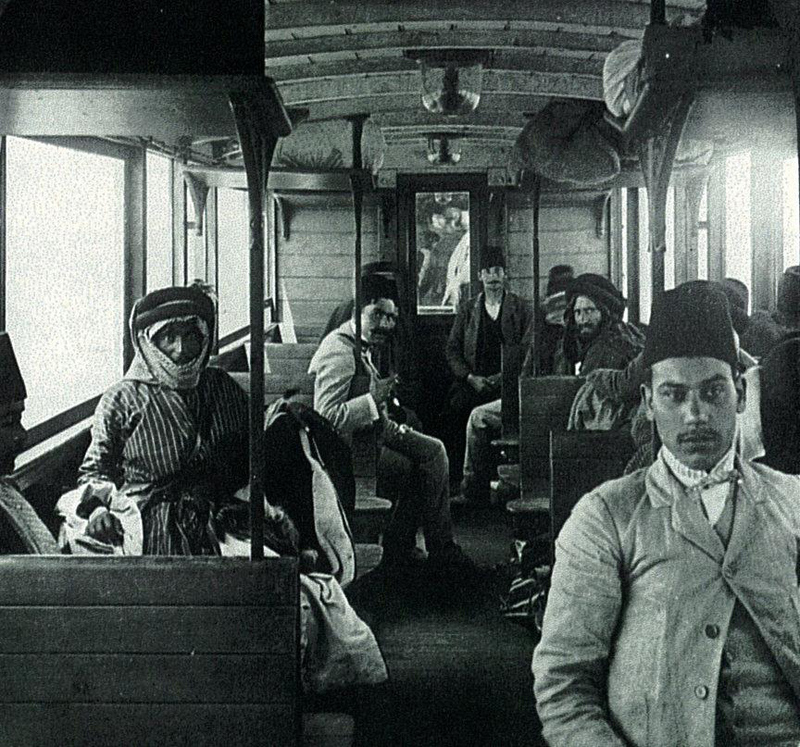 The Ottoman government viewed even Haifa as the Hijaz railway’s optimal access point to the sea due to the city’s strategic location granting it advantages over other coastal cities. 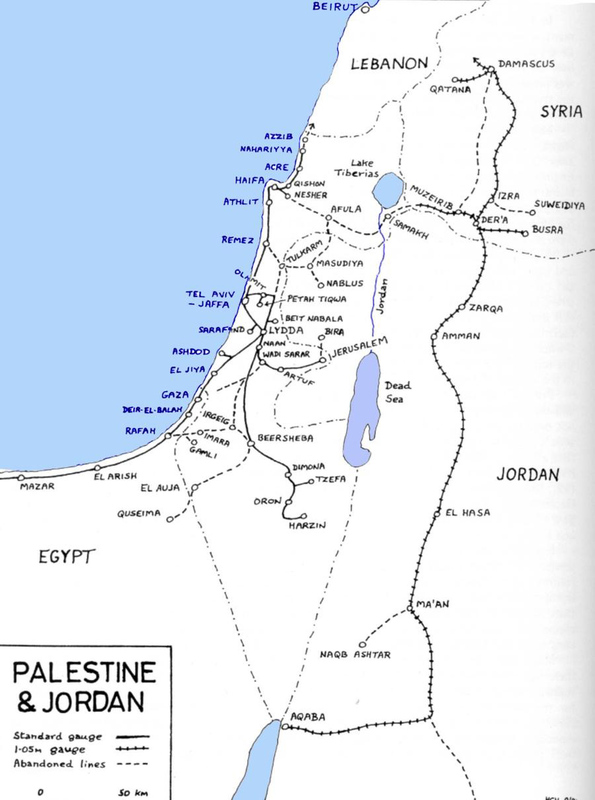 The decision to make Haifa the railway’s outlet to the Mediterranean Sea required extending a secondary line from Dar’a in Syria to Haifa in Palestine for a total length of 161 kilometres. 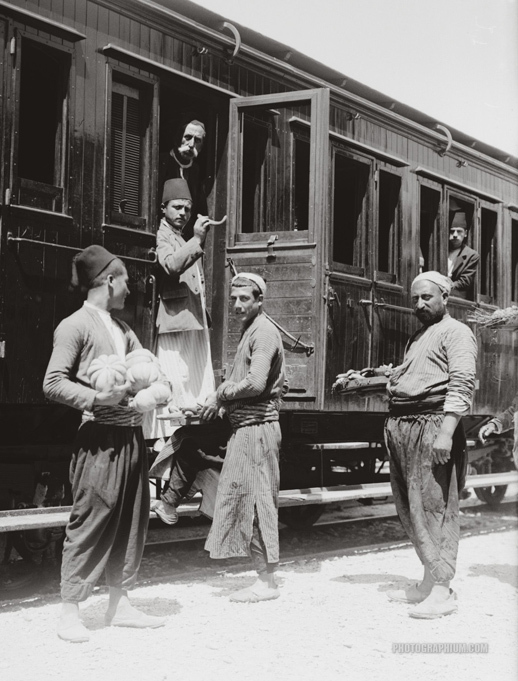 The extension of this line was not only meant to enable the delivery of the materials and equipment necessary to construct the Hijaz railway, but also to facilitate the transport of Muslim pilgrims via the Haifa Port to the Hijaz. Transport through Haifa Port thus increased–the amount of goods imported and exported via the port multiplied. With the extension of the Hijaz railway to Haifa, the city was connected to Damascus and the regions of Houran and eastern Jordan, among others, turning it into a bona fide port city. The crops of these regions, particularly grains, were exported via Haifa while European and American goods and products needed by the regions were imported. The Hijaz railway project played a prominent role in the development of Haifa from several perspectives. The following is an outline of the most significant developments.